Registration for the April workshop is now closed! The next CAWV Workshop will take place Summer 2017. Check back or sign up for the Wellspring newsletter for updates. What is a wellness vision? A wellness vision is a road map for how you want to live your life. It is getting down in writing how you want to show up each day -how you want to move, eat, live, love. It is your dream of what a beautiful, happy, meaningful life looks like. Often in our busy lives it’s so easy to get caught up in the grind of our daily routines that we forget to make time to stop, breathe, and ask ourselves the big questions. What is it in life that is really important to me? How is it that I’m making time for that? How do I wish I felt today-physically, emotionally, spiritually? What is it exactly that my healthiest, happiest life looks like? How do I get there? Taking the time to get a wellness vision down in writing is the first important step towards intentionally designing and ultimately living the life we want to be living. Become a member of a secret Facebook group of supportive women who are also working on their wellness visions (meaning only that no one outside of the group will be able to see your posts). Receive daily activities and/or journaling prompts designed to take about 10-15 minutes/day. We will explore topics like eating habits, exercise, relationships, stress, occupation, core values. 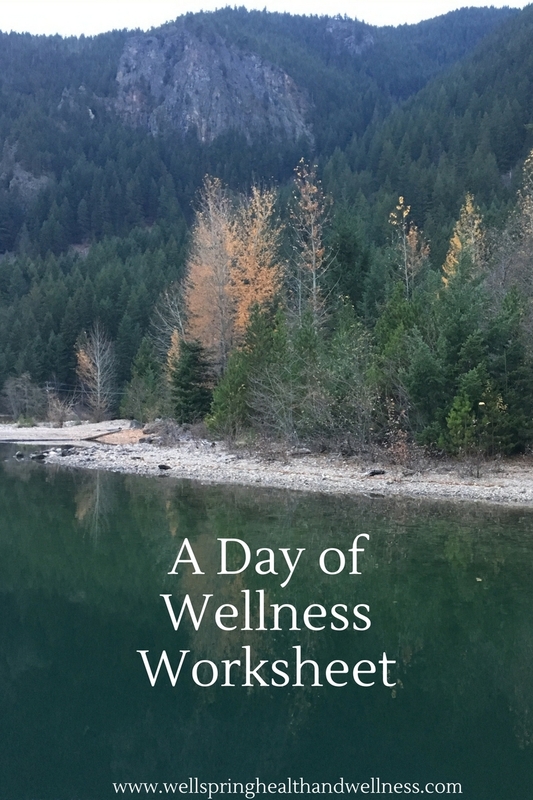 End the workshop with an intentionally crafted wellness vision unique to you that you can use as a guide for how you want to live your life including a plan for next steps that you will take to reach your vision. Receive personalized feedback from me on your wellness vision and throughout the workshop. Receive additional support, inspiration and encouragement from me and other workshop members via Facebook. Following graduation join a private Facebook group of women who have been through the program for continued support, encouragement and inspiration. The workshop is limited to 20 participants (minimum of 10). This small group dynamic gives you plenty of opportunity to interact and ask questions. Within the Facebook group there will be opportunities to share with the rest of the group. You only need to share what you feel comfortable, but one of the really great and exciting thing about doing this with a group of supportive women is that we can all learn from each other and help each other out. If there are things you are struggling with or are proud of chances are there are other women in the workshop who can relate to your experiences. All you need in order to participate is a journal and a Facebook account. Each day I will post an activity or talk you through a daily journal prompt via our Facebook group. You can expect to spend 10-15 minutes/day working on your wellness vision. Sorry gentleman. This program is just for women.